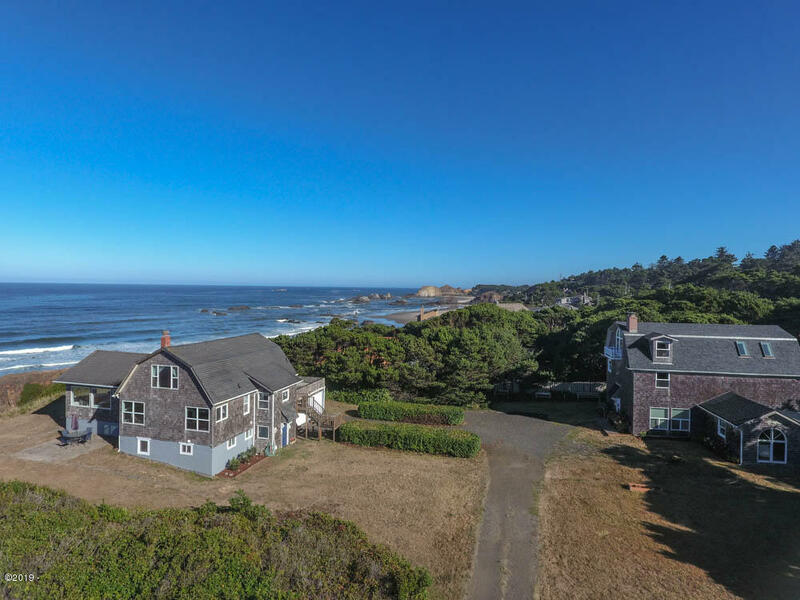 This is the most amazing and rare piece of property on the Oregon coast. The views are spectacular among the ancient rock formations with semi private beach and private stair access. 1.4 acres on a bluff with views 25 miles in either direction over looking the mighty pacific. Fabulous sunsets. Includes the main house and another home currently not recognized by the county. Front home has 4bdrms, 2.5 bath and the back home has 2bdrm, 1 bath with family room, living rm, kitchen and dining.